Love This Stuff has a quirky collection of stuff that'll have your attention right away. From jewellery and hair accessories to bags, shoes and epsom salts, they've got an eclectic curation that you'll most definitely love. This Insta-handle curates lifestyle products from multiple designers all across the country. They have an eye for pops of colour and fun, funky designs. We'd especially recommend it for those who love adding adorable curios to their collection. They even make great gifts. Plus, the prices of the items are always given, so you won't have to go through the hassle of waiting for a reply on your DMs. 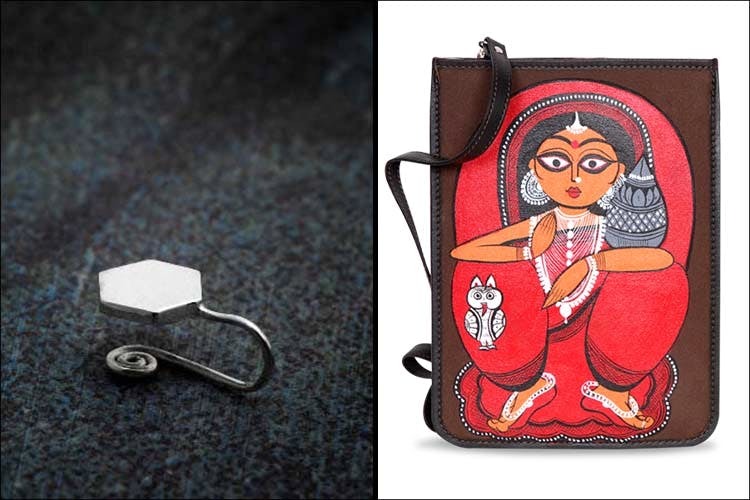 Some of our favourites include the ladder-style wine holder, the jewellery, and the creative journals. Their website isn't working. You may have to depend on Instagram till it does.